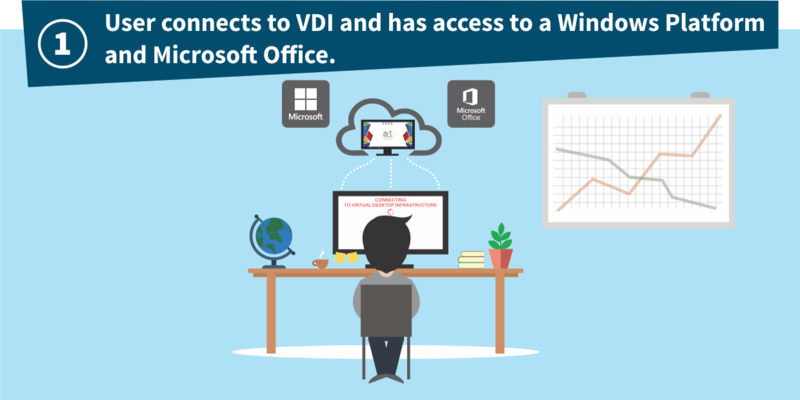 VDI or Virtual Desktop Infrastructure, simply put, is a computer in the cloud. Your computer in the cloud gives you Windows 10 with Microsoft Office to provide your business with cutting edge IT technology and mobility while ensuring the best performance and security for your users. We teamed up with the world’s best workstation, server and backup technology vendors and built a virtual platform for “small office” networks to flourish in our cloud based system. Daily backups that go back 30 days. Monthly backups for 12 months. Secure, shared network drives within your organizations file level access. Microsoft workstations platforms either Windows 7 or Windows 10. Uniform wall paper synchronization, for that personal touch or to share some internal unified business strategies. Mobility – login to your machine from anywhere in the world. Multi device platform – you can login through your laptop, desktop, iPad, tablet and even your smart phone. 10Gb of disk space per user. No shared drives between users. 99% Uptime. Service for uptime is free (to make sure the VDI is available). Azure includes many services that were made to help enterprises in many ways and different areas. Whether it’s aiding in application development, analysing data and collecting insights, building infrastructure or managing access – the enterprise of today stands to gain from Microsoft Azure. As a Cloud solutions provider, your knowledge of these services, benefits and features is crucial to be able to convey your confidence in the solution to a customer. Be sure to visit azure.microsoft.com for extensive guidelines on each of these points, and more. In addition, knowing and understanding your product will prepare you to respond to questions and concerns that the customer might have. 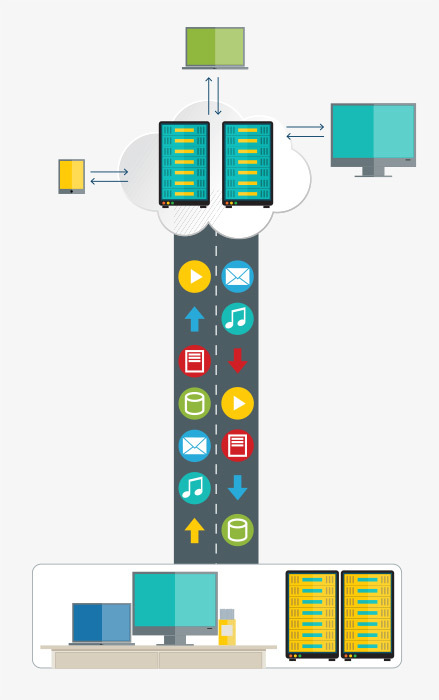 Easily scaling up or down on cloud infrastructure, depending on the customer’s needs. No need for the capital fee related to purchasing new server hardware. Azure gives businesses global reach with great ease – running their services in data-centres globally. Using a virtual machine, or VM, to build new cloud-native applications or moving existing applications from on-site servers to the cloud. Microsoft offers an Azure pricing calculator to help customers determine what services they need; this allows the customer to only pay for what they use – eliminating the need for upfront investment and infrastructure costs. Be sure to visit the Azure Sales Learning Path for comprehensive training resources on all the features and options of Microsoft Azure, and go the extra mile in learning more about the finer details of the solution. Established in 1977 in Visalia, California, San Joaquin Valley College (SJVC) is a for-profit junior college with 15 campuses, an online division, and more than 20 certificate and associate of science degree programs in multiple disciplines. To gain better uptime and simplify IT management, SJVC decided to move its learning management system and other infrastructure from on-premises to Microsoft Azure and Office 365. With help from Microsoft FastTrack, SJVC transformed its technology environment within six months and continues to innovate. 2 – Why is BitTitan still growing 50–100 percent a year after 10 years? To sharpen its marketing and sales, BitTitan—which provides solutions to help IT service providers run their businesses—turned to Microsoft Azure and Microsoft Power BI. Now, it understands social media response to its product launches and other marketing fast enough to optimize its messaging and boost engagement numbers. Additionally, BitTitan used Microsoft technology to improve the quality of leads it offered as sales inducements to its partners—boosting their businesses along with its own. 3 – Which cloud helps FUJIFILM cut latency by 95 percent for a superb customer experience? FUJIFILM Software took a major step on its journey to the cloud by transforming its popular IMAGE WORKS image file management and sharing service in Microsoft Azure platform as a service. Beyond higher reliability and lower latency, FUJIFILM now has a system that delivers greater customer satisfaction. And it can add new features and releases faster and more frequently, giving it the agility to thrive in an increasingly competitive market. Power BI is a cloud- based business analytics service that gives you a single view of your most critical business data. Power BI Premium provides resources dedicated to running the Power BI service for your organization or team, giving you more dependable performance and larger data volumes. Premium also enables widespread distribution of content without requiring you to purchase per-user licenses for viewers. Power BI Premium is licensed by capacity. This means that a Power BI Pro licence will still be required for users publishing reports, but consumers will no longer need to be licensed if their organisation is covered by Power BI Premium. How does Capacity based Licensing work? Power Bi Premium is licensed by Nodes. A node is a way of purchasing a certain number of virtual cores, memory and bandwidth, dedicated to that customer, that will be sufficient to power the required BI system. With Power BI Report Server, you are able to do Hybrid Deployments. When you purchase Power BI Premium you can use the same number of cores that you’ve purchased in the cloud with Power BI Report Server on-premises. How does one calculate how much capacity is required? There is a calculator available to help you determine how much capacity is required. We recommend you use the calculator to spec your scenario and engage with us for pricing. Power BI Embedded is an Azure service that enables ISVs and app developers to surface Power BI data experiences within their applications. As a developer, you’ve built applications, and those applications have their own users and distinct set of features. Those apps may also happen to have some built-in data elements like charts and reports that can now be powered by Microsoft Power BI Embedded. You don’t need a Power BI account to use your app. You can continue to sign in to your application just like before, and view and interact with the Power BI reporting experience without requiring any additional licensing. Enterprise-class applications like Exchange Server can be challenging, time-consuming and costly for small businesses with no in-house IT department to support. Because of this, businesses are increasingly turning to hosted and / or cloud based services as an alternative to capital expenditure; including software and hardware costs, the skills required to maintain such environments and any costs associated in keeping those environments running. By “renting” access to third party hosted applications, your customers alleviate the problems that licensing, deploying and maintaining specialized applications come with. With Exchange Online, you can help your customers increase user productivity and keep their organization safe, while maintaining the control you need. Exchange Online helps protect your information with advanced capabilities. Anti-malware and anti-spam filtering protect mailboxes. Data loss prevention capabilities prevent users from mistakenly sending sensitive information to unauthorized people. Globally redundant servers, premier disaster recovery capabilities, and a team of security experts monitoring Exchange Online around the clock safeguard your data. With a guaranteed 99.9% uptime, you can count on your email always being up and running. Maintain control over your environment while gaining the advantage of hosting your email on Microsoft servers. Manage your organization efficiently with the Exchange admin center, an easy-to-use, web-based interface. Run In-Place eDiscovery across Exchange, SharePoint, and Skype for Business data from a single interface through the eDiscovery Center. And IT-level phone support is available to you 24 hours a day, 7 days a week. With Office 365 Exchange Online, Microsoft Office 365 gives you access to email, calendar, and contacts from virtually anywhere, at any time, on desktops, laptops, and certain mobile devices including PCs, MAC computers, iPhones, Android phones, and BlackBerry smartphones – while it helps to protect against viruses and spam. Don’t have the necessary deployment skills? Secure and reliable business-class email with a 50 GB mailbox per user. All the features of Exchange Online Plan 1, plus unlimited storage, hosted voicemail, and data loss protection. Each user gets 100 GB of mailbox storage and can send messages up to 150 MB in size. Don’t have the necessary skills to deploy Exchange Online for your customers but want to leverage the opportunity to sell it as a solution? The Basic deployment option takes care of the standard Exchange and user configuration including any Active Directory integration requirements as well as DNS integration for mail purposes. Infrascale’s Data Protection Cloud (DPC) is an enterprise-grade direct-to-cloud backup solution that protects desktops, laptops, smartphones, tablets, and physical servers all in one solution. DPC protects your business data regardless of location, device or environment. You can securely and easily protect road warriors, branch offices and headquarters regardless of OS type or cloud deployment – public, private or hybrid. DPC use private key encryption along with double-blind encryption so only you can view or decrypt your data in the cloud. Infrascale’s Data Protection Cloud (DPC) is software that backs-up your business data directly to the cloud and can do it across all laptops, smartphones, tablets and servers at any time (even when users aren’t in the office). DPC moves data fast and reliably to and from the cloud using Infrascale’s WAN optimization technology reducing bandwidth costs. DPC has source side and target side data deduplication along with intra-file deduplication to reduce the cost of cloud storage. 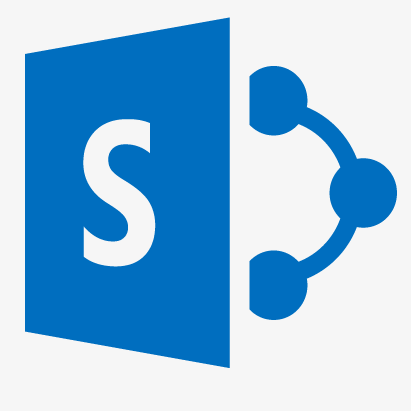 SharePoint Online is a cloud- based service that helps organizations share and manage content, knowledge, and applications, as empowers seamless collaboration with colleagues, partners, and customers. SharePoint Online delivers the powerful features of SharePoint without the associated overhead of managing the infrastructure on your own. Flexible management options ensure that you still retain the control you need to meet the compliance requirements of your organization. It is a cloud-based service, hosted by Microsoft, for businesses of all sizes. Instead of installing and deploying SharePoint Server on-premises, any business can subscribe to an Office 365 plan where you can also get access to Exchange, Skype for Business, the Office clients, and web apps. With SharePoint Online, you can create sites to share documents and information with colleagues, partners, and customers. The Features that small and mid- sized businesses need to succeed. Full- featured SharePoint Online with capabilities for the enterprise. Navigate your team sites and intranet with the SharePoint mobile apps for Android™, iOS, and Windows or OneDrive mobile apps for Android™, iOS and Windows. Don’t have the necessary skills to deploy SharePoint Online for your customers but want to leverage the opportunity to sell it as a solution?